How much is the initial new patient consultation? Should I bring anything with me to the initial consultation? We ask that you bring any pertinent medical records, supplements, current medication, and lab test results with you. If you are not the financial decision maker, we ask that you bring your significant other with you to the consultation. How long should expect the consultation to last? Expect the consultation to last for 60 minutes. If you are a good candidate for our care we will review the test kits and initiate some paperwork to get you started. This will take an additional 10-15 minutes. We value your time and do our best to provide a timely service. Do I still need a primary care physician? Yes, we do not provide acute care services and we do not replace the services that your current medical team provides. We provide a stand alone service. Will I see other practitioners? Yes, you will work with a team of experts to help you accomplish your health goals. These will include a nutritionist and lifestyle coach. Does your office work with patients that live in other cities? Yes, we can work with any person in any city. Can my appointments be done over the phone or on skype? Yes, we recommend that your first appointment is done in person so we can meet with you and make sure we’re a good fit for each other. If that’s not possible we can conduct your appointment on the phone or Skype. Our office hours are Monday Through Thursday 9AM-4PM Pacific Time. Is my lab testing covered by health insurance? Functional lab testing is usually not covered by most insurance providers. Does your office offer single lab test or a la carte testing? We do not offer a la carte testing since this goes against the paradigm of functional medicine. If we are going to address the root cause of your health issues we will need to take a more comprehensive approach. We only work with patients on a case management basis in one of our programs. How much should I budget for the Lab testing? By joining our Foundations Program you have access to direct pricing on lab test kits, which ensure you pay the lowest price possible. On average you should budget between $500- $1500 for functional lab testing. The lab testing is typically done at home. In some instances you might have to get blood work done. We will direct you to the lab that coordinates that. Many of the tests have shipping included in the cost of the kits. If not, you will be responsible for the shipping. You will get detailed instructions on how to do the test kits by us and the kits come with clear instructions, as well. Payment is made directly to the lab to ensure you have the lowest price possible. 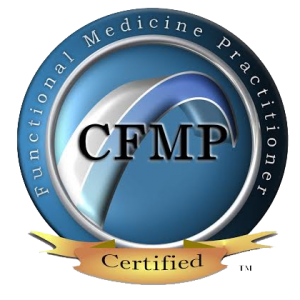 Does your office take insurance for functional medicine services? We do not accept insurance or Medicare for our consulting service. Your case requires special attention and time that is not covered by insurance companies. We accept cash, check, Visa, MasterCard, or Advanced Care. Do you offer finance programs? Yes we offer patient financing through Advanced Care. Can I use my HSA account? Yes. Please check with your HR department to be sure. Is the foundations program and lab testing covered by health insurance? Our programs and functional lab testing is typically not covered by insurance. What is included in the Foundations Program? 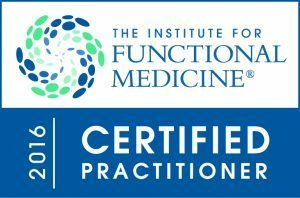 The Foundations Program is an all inclusive service that covers your clinical consulting and coaching over a 6-8 month period. An in depth review of the 12 foundations pillars that make up your health. A medical case review and personalized program that is built around your unique history and needs. Up to 8 appointments. Direct Clinician access in between appointments. Personalized lab result video summary and PDF of your lab work. Personalized supplement schedule. Personalized lifestyle schedule. Personalized program binder. Do I qualify for the Foundations Program? This program is for anyone looking to optimize their health. The only time somebody is not qualified is if their health is too poor or their condition requires urgent medical attention. If a client is not motivated, engaged, and willing to take the steps necessary to get healthy, they would not be a good candidate. 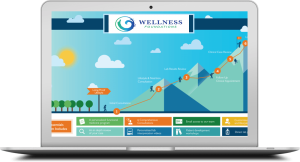 What is the investment to join the Wellness Foundations Program? The Foundations program is $2900. Does the cost of the initial appointment apply towards the cost of the program? Yes, your first appointment is one of your eight appointments. We apply your payment to the total cost of the program and therefore you are paying into the program when you schedule your first appointment. Who will my second and third appointment be with? Your second appointment will be with a Lifestyle Coach orClinician and they will be focusing on your dietary aspects, recipes and menu. He/She will also provide you with lifestyle coaching and consulting so you’ll walk away with actionable steps you can implement right away to get your health on the right track. Your third appointment is designed to review your lab results. You’ll meet with your clinician who will be overseeing your case, answering your questions, and recording your lab result videos. Is it mandatory to use all eight appointments? If you are a self starter and like to be independent, it is not mandatory to use all appointments as you have direct clinician access. The program’s core value is in evaluating your history, building your clinical case, ordering the right testing, educating, and designing a unique solution for you that addresses your six pillars. Our goal is to empower you and guide you on the right path so you can use these strategies for the rest of your life. You are always welcome to use the remaining appointments as needed to focus on your clinical, nutritional, or coaching needs. What happens at the end of the Foundations Program? Once we have gotten you to a stable place you can follow up as needed. If you require additional support after your Foundations Program is complete you have the option to pay per visit at $150 per half hour, $225 per 45 min appointment, or $299 per hour. I’m ready to get started! What are the next steps? Please set up a free discovery phone consultation to make sure you qualify and to verify our solution is viable for you.